Chinese smartphone maker OnePlus is allowing anyone to order its much anticipated One phone regardless of whether or not you have an invitation. But here’s the catch — you only have three days to do so. OnePlus announced the promotion on its website (via The Next Web) as part of its Black Friday special. Normally, you would need to receive an invite from someone who already owns the phone. But, for the next 72 hours, that rule doesn’t apply. 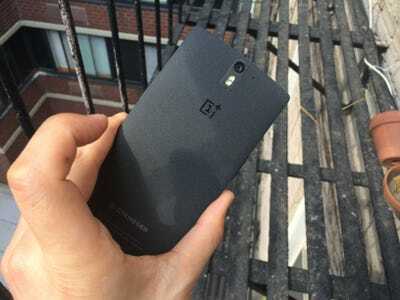 The OnePlus One received glowing reviews upon launch, and it’s been extremely hard to find since demand has been so high. Part of the reason there’s so much interest in the phone is because it’s absurdly cheap compared to other top-tier Android phones. The 16GB OnePlus One costs $US300 without a carrier contract while the 64GB model sells for $US350. Phones such as the Galaxy S5, for example, cost between $US500 and $US600 unsubsidized. One reason OnePlus is able to put the same components in its One phone at a much lower price is because the company doesn’t spend a lot of money on marketing since it sells directly to consumers via the web.